Champagne in the snow; tea in bed? It must be Purple Piste! Home » Accommodation » Champagne in the snow; tea in bed? It must be Purple Piste! Thinking of skiing in style – well Purple Piste will do everything for you except, err…. 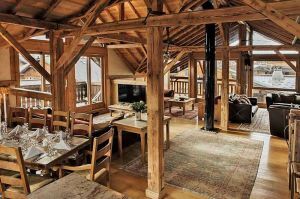 If you love skiing, as we do, then you’ll be only too familiar with the huge variety and standard of chalets available throughout the ski resorts of the world. 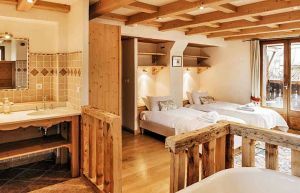 What a truly successful skiing holiday distills down to, in our opinion, (leaving aside perfect snow conditions for the moment) is the location of your chalet and the personal care and attention you receive. If you can get all of these together then you’ve really hit a purple patch – or in our case Purple Piste. 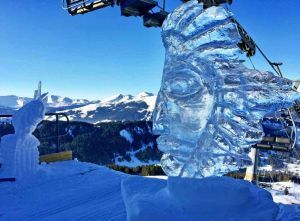 We’d been invited to stay with Stephanie Murdoch and her husband Eric Roberts, in their own personal chalet home near Morzine, in the huge interlinked Portes de Soleil area of France. 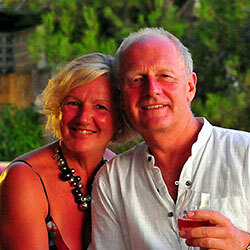 We’ve known Stephanie for years but never actually stayed in any of the chalets she offers – what had we been missing? Time to find out! the first thing that impresses us is the central location of the chalets, so that you can either be at a major lift in minutes or even ski back to your chalet at the end of the day. 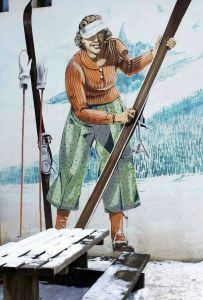 This might not seem like much – but anyone who has had to carry their skis any distance or walk hundreds of metres to a ski-bus stop to make your way home at the end of a tiring day, won’t need much convincing. 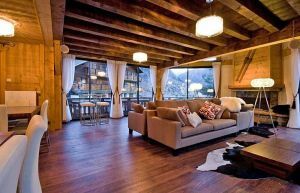 Traditional and spacious comfort in Chalet Alp Inn. 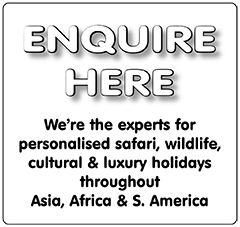 Travelling as much as we do we’re more than used to this claim being glibly made and poorly delivered, so we reserve judgement. However, we soon become converts to Stephanie’s ethos – which unfortunately also means we won’t be seeing much of her during our stay! To say that she’s ‘on the case’ would be an understatement – if she’s not on her computer dealing with numerous new or repeat bookings from previous years; handling their very personal requests for room arrangements, dietary requirements, pre-arranged drink selections, ski-passes, airport transfers, day and evening entertainment; with what amounts to a full concierge service – then she’s at her chalets, meeting her guests (many of whom are now friends), making sure they have all they need and that everything runs like clockwork. An early morning call with a cup of tea in bed is the norm and she’s also been known to plant a bottle of Veuve Clicquot and glasses in the snow for a group, at the end of the last ski run. Whatever you’d like, she does her best to oblige. Presumably they bring you tea in bed because you never want to get out of it! 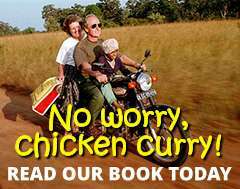 Steph’s principle is that she can cater for any need – be it numbers of friends, families or corporate groups who might want to self-cater or be fully catered and chaperoned at every step of the way – or anything in between. We accompany Steph one day – just so that well see something of her and as a result are able to observe her style and see the chalets first hand. She’s obviously easily at one with her staff and it pays off with the service and smiles they provide. Nothing escapes her attention even to the extent of aligning coat hangers so that all hooks point the same way – making us think we’d love to be staying at her chalets with this attention to detail but not to live with her! The lucky guest who stays at her chalets sees only the proverbial ‘serene swan’ of a perfect stay, little realising the significant amount of paddling beneath the surface that makes your time a real delight. If the comments and happy faces on the Purple Piste website are anything to go by then the only problem you’re ever going to experience is booking your holiday before someone else returns again for another stay and takes the slot you wanted! As with most successful businesses – it’s people that make it – and Purple Piste really does make you feel as though you’ve hit a purple patch in your life. 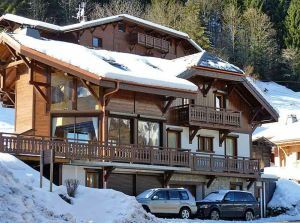 Although we stayed in Morzine, Steph also arranges stays in other resorts – and rumour has it she might even be thinking of renting out her own home in a year or two – which will be a real treat..